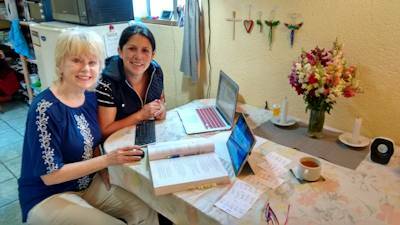 Learning español is easy (uh huh…)! 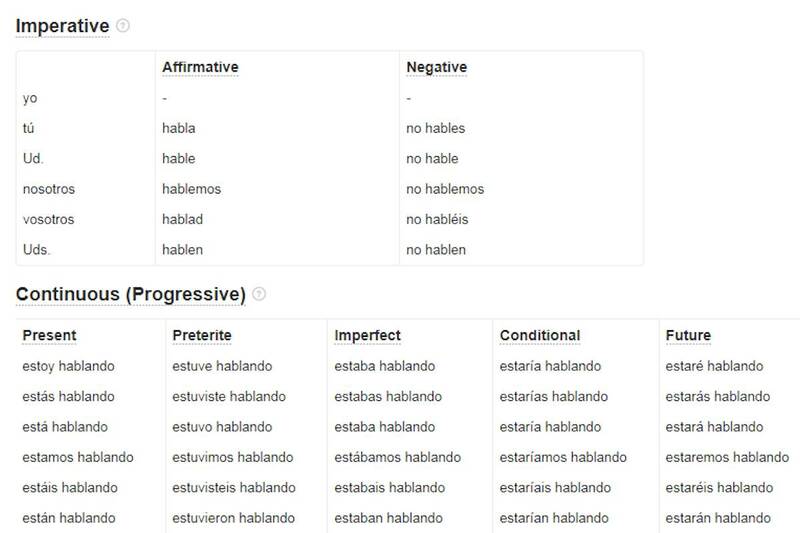 Over the years I’ve heard people say learning Spanish is easy because it’s a Romance language with a lot of similarity to English. That may be true for some, but trust me, to learn it well requires a lot of work. 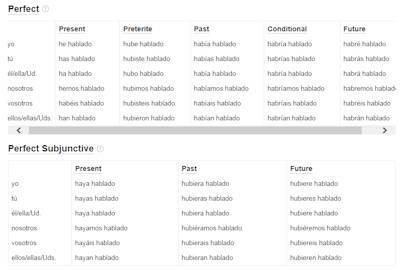 For example, verb conjugations. 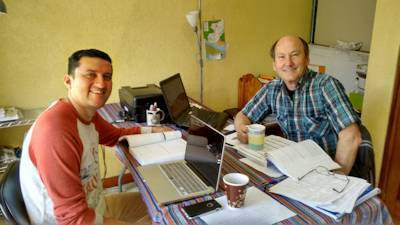 Each verb has over 50 different “words”, each which really sound alike to my gringo ear (when spoken in normal conversation – rapid!). Here’s what I mean. 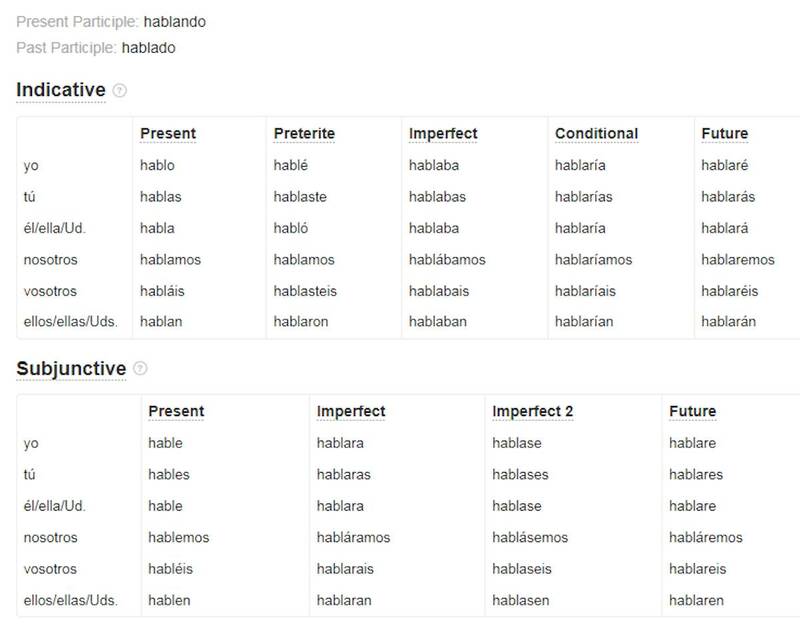 Take “hablar” – to speak. It’s a “regular” verb with regular rules for conjugation (irregular verbs have special spellings and pronunciations). 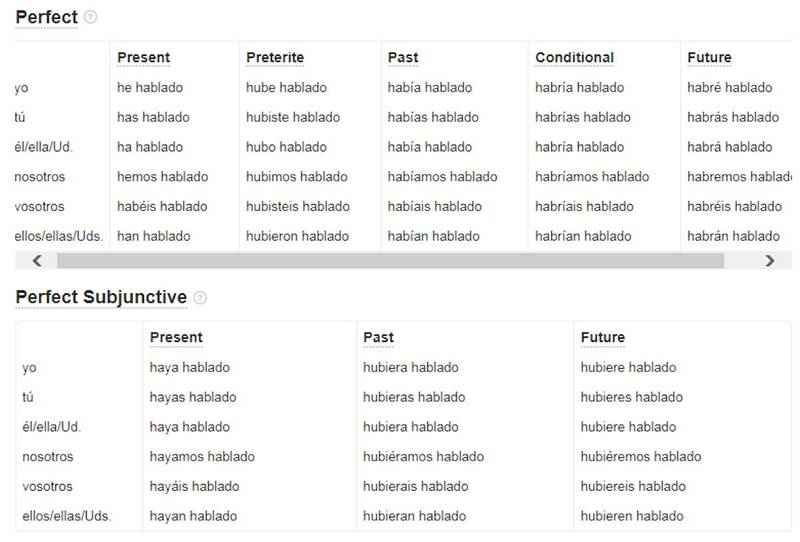 We start with this basic list of 25 words (Indicative – and we skip the “vosotros” which is used in Spain but not in Guatemala) for the different persons (first person, second person, etc) and time (present, past, etc). The Subjunctive (not in English) adds another 25 words – close, but all sound a little different! 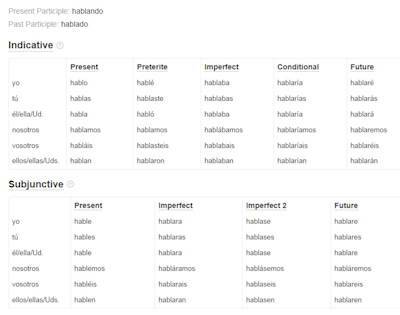 So how many words or phrases for “hablar” – a lot! And to speak fluently, I’ll need to quickly “grab” the right word or phrase automatically from memory without thinking about it! 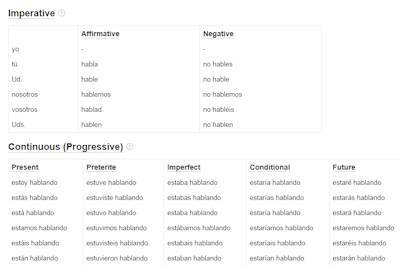 This past week, I needed to memorize 78 “irregular” verbs – verbs that don’t follow the “regular” conjugation rules like for “hablar”. Meanwhile, I’m learning (and re-strengthening) nouns, adverbs, adjectives, etc, to add to the mix. The Peace Corps says that in order to “graduate” from Pre-Service Training (and thus be accepted into the Peace Corps) we must meet a minimum language proficiency level of intermediate Spanish. But if I want to be effective in my work and be able to communicate easily and freely with my future co-workers, the parents and young people in my site, I’ll need to be much better than just “intermediate”! Comments Off on Learning español is easy (uh huh…)! You are currently browsing the Don Nelson Team blog archives for July, 2017.